Every business starts with a great idea, but not every great idea turns into a business. We met with Mohammed Khouni, cofounder of Unicorn Labs, to talk about his approach on helping young entrepreneurs build a first prototype for their business. Did you know that about 500 000 tons of food are wasted every year in Switzerland, three quarters of which are still entirely fit to eat? According to the Federal Office for Environment (Bundesamt für Umwelt BAFU) this accounts for 14% of the entire Swiss food output. With food shortages and proper waste management being some of the most important issues of our time, a wastefulness of this scale is unacceptable, especially for a progressive country such as Switzerland. 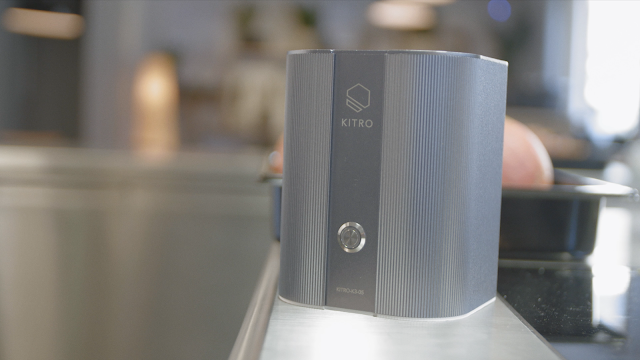 We met with Naomi MacKenzie, former EHL student and one of the cofounders of KITRO, to discuss her approach on reducing food waste with sophisticated AI technology and learn more about her startup story. We are Céline and Niklas, two mechanical engineering students in their bachelors. After spending some time at ETH and getting used to the workload and the monotony of our day to day life at uni, it became clear to us that our education is not just about getting a degree in the end. There is so much more learning potential beyond the lecture slides of our professors and the exercise sets we spent our time with. The skillset and experiences we gained are only applicable to a certain extend in real life and no one ever taught us how to become successful in today’s world. Furthermore, despite hearing from many thriving ETH spinoffs and startups we hardly understood what it takes to actually become entrepreneurial ourselves. The thought of starting a company has always been very fascinating to us, which is why we joined the ETH Entrepreneur Club as a first step into that direction.